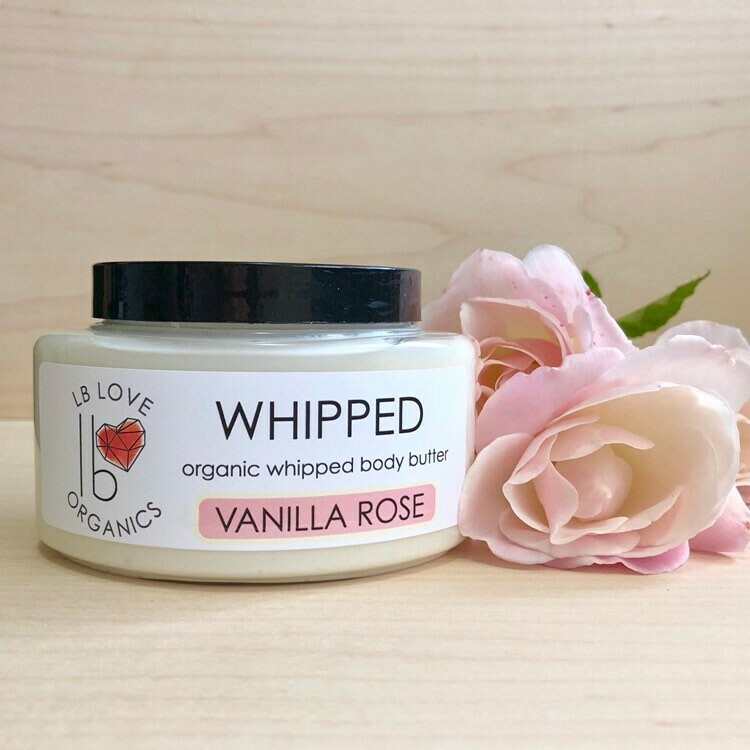 The newest edition to our Whipped body butter line, Vanilla Rose is a soft blend of vanilla, rose geranium, and rosewood essential oils. 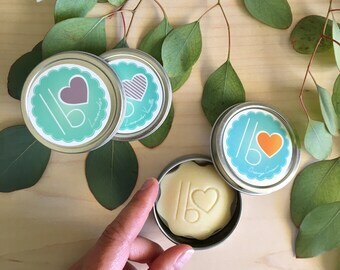 If you’ve been looking for a light + natural floral scent, this is it! We use only essential oils! 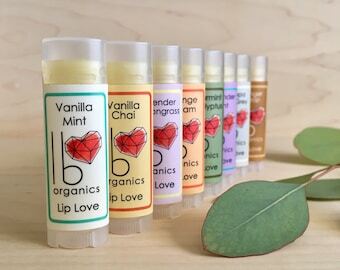 No fragrance oils of any kind, since they are chemicals, and are not health-enhancing. Very light, great smell! Perfect combination of vanilla and rose! 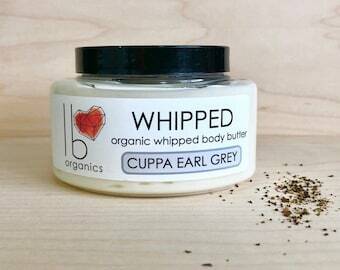 I’m currently 34 weeks pregnant, and this does an amazing job of moisturizing my belly and body! I also love that I can pronounce and know exactly what is in the products I’m using!